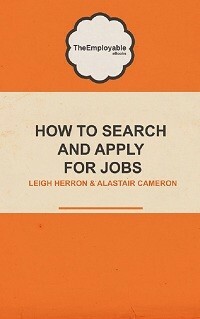 Don’t simply upload the CV that you have created for sending to all other employers. Create a CV specifically for adding to a jobs board. The difference? Well, make sure that it you have fully detailed all of your qualifications, training and experience. A recruiter is not a mind reader after all, so if you have completed that CIPD or Prince 2 qualification and failed to add it to your CV, they will probably never call you should a role arise requiring those skills. Also, even if you have not fully completed a course of study or training, adding it to your CV explaining that you are undertaking it or hope to complete it by a certain date can be beneficial too. Adding detail like this can significantly improve your chances of a recruiter or employer finding your CV when they are sourcing candidates for a particular role. Make sure however that the information you add is accurate – don’t claim to have already achieved a qualification or passed a training course if you haven’t. Lies do get found out! 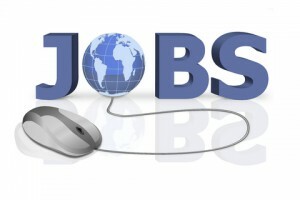 The fact is that when sourcing for candidates using an online jobs board, recruiters generally conduct their searches using particular key words. They might search for a particular IT package, a particular training course or a specific qualification. If a keyword does not appear on your CV, chances are you may never be contacted about certain jobs. But what keywords should you use? Well… think about the area or industry where you are seeking work. Are there particular skills that are generally sought after? Are there industry terms that are specific to that sector? 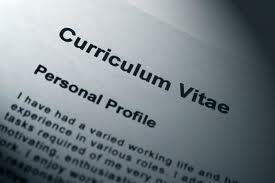 Critique your CV and see if you can identify what those keywords could be and if they appear on your CV currently. If they don’t, then it’s time to update it. When creating an online CV, you have to try to optimize your chances of “being found” by a recruiter or employer and the best way of doing this is by making sure you use the right key or buzz words. Many candidates make the mistake of registering online, adding their CV to a jobs board and then simply sitting back and waiting for the recruiters to call. When the calls don’t come, it’s perhaps time to have a look again at that uploaded CV. Updating the CV content could make all the difference. 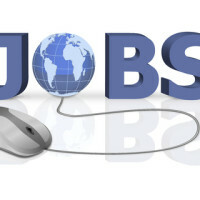 Likewise, when a recruiter uses a job board, they generally can also determine the date a CV was uploaded as well as when a candidate was last active on the site. If your CV was uploaded a year ago and you have never actually bothered signing into your account since, they can pretty much tell and may make an assumption that you aren’t particularly interested in getting a job anyway. Also, if you have updated your qualifications or undertaken additional training, make sure you revise and update your CV accordingly. It’s very easy to upload a CV to a jobs board and then forget about it and as we mentioned previously, sit waiting for the recruiters to come a-calling. However, have you considered that perhaps the calls aren’t coming because the recruiter can’t get through? If you have moved house or changed phone number or email address, make sure that you update your CV and account details to reflect this. As a recruiter, I lost count of the number of occasions when candidates could not be contacted due to their contact details being out of date and no longer accurate. Telling friends and family about new addresses and phone numbers etc is pretty much a given; however updating recruiters via your online CV ought to be the norm too. We hope that these basic tips will help you when you next add a CV to an online jobs board or perhaps even give you food for thought about CVs that you have already uploaded and may need to be changed. Please comment below if you have any other top tips for online CVs that you would like to share.